Milverton, ON, Wednesday Sept. 19, 2018: The NASCAR Pinty’s Series is about to make their way out of Canada to compete for the first time in the 12-year history of the series with a visit to New Hampshire Motor Speedway in Loudon this weekend for the Visit New Hampshire 100. This will be race 12 of 13 in the series schedule as the teams take part in the tracks Full Throttle race weekend with the NASCAR Whelan Modifieds and the NASCAR K &N series. 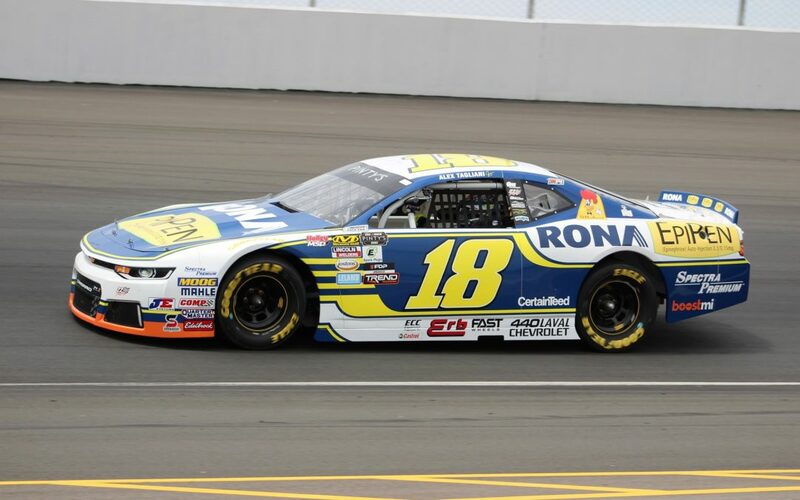 Alex Tagliani driver of the #18 EpiPen/Rona/St Huberts Chevrolet Camaro is in the thick of the championship hunt sitting only five points behind leader L.P. Dumoulin with two races remaining. He has posted five top fives in the last five races with two wins, so he hopes to keep that momentum going. Marc-Antoine Camirand driver of the GM Paille Chevrolet Camaro is coming off his first NASCAR Pinty’s Series win two weeks ago at Autodrome St. Eustache where he and his teammates ran up front all night long just missing out on a 1-2-3 finish. Camirand known for his road course racing skills put on a clinic on how to win on a tough short track, leading the most laps and holding off charges from teammate Tagliani and others. Donald Theetge pilot of the #24 Mercedes-Benz St Nicolas/Circuit Acura Camaro has some experience at New Hampshire Motor Speedway in other racing series. Coming off a top 5 finish at Autodrome St Eustache, Theetge is looking for that second win of the season that has just been outside his grasp a few times this year. “I’m sure we are going to have a good weekend at Loudon. I do know the track from past races in ACT and the NASCAR Xfinity Series and I know 22 Racing will give me another good car like always, so we hope to be challenging for the win in the 100-lap race. New Hampshire Motor Speedway is a 1.058 flat oval track with 1 degree of banking on the straightaways and 2/7 degrees of banking in the corners. It also has on site a 1.26-mile, 12 turn road course and a 0.25-mile Mini Oval. 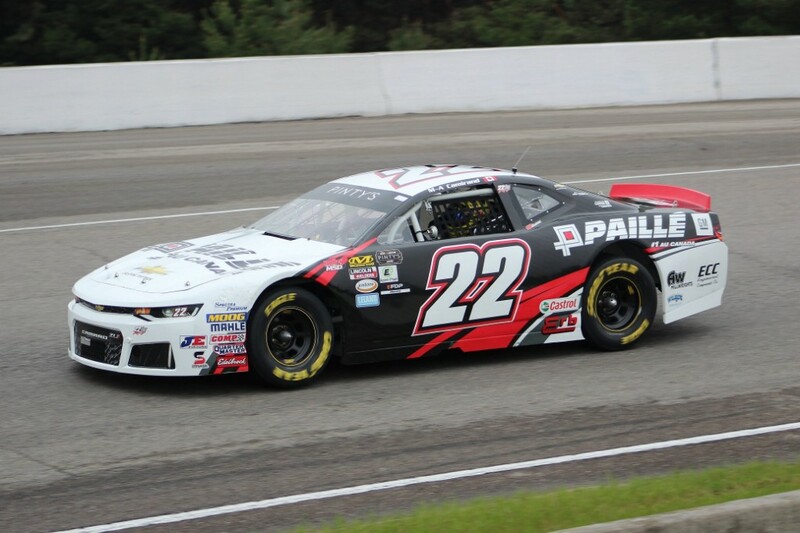 22 Racing is owned by 4X NASCAR Pinty’s Series Champion Scott Steckly and is based out of Milverton Ontario in a new (2014) 7,500 square foot race shop. In 2018 they field three full time teams in the NASCAR Pinty’s Series with drivers Alex Tagliani, Marc-Antoine Camirand and Donald Theetge. They have prepared and entered cars for drivers such as Christopher Bell, Jacques Villeneuve, James Buescher, Jeb Burton, Kaz Grala, L.P. Dumoulin, Max Papis and many others. 22 Racing provides turnkey solutions for drivers looking to compete in the NASCAR Pinty’s Series. 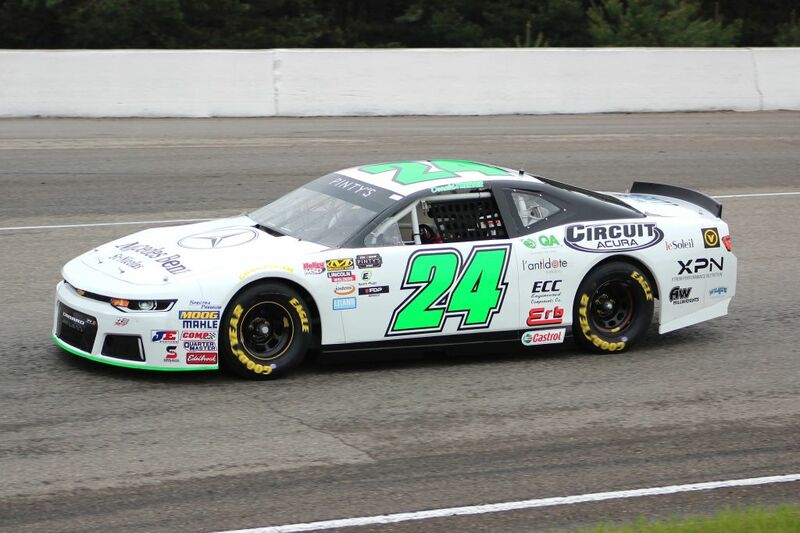 The 22 Racing Team is supported by the following sponsors: Erb Group of Companies, AW Millwrights, Engineered Components Company, Castrol, Wendell Motors, Auto Glym, Mechanix Wear, Great Dane Glasvan, Safety Kleen, Wilride Transport, Lincoln Electric, Permatex & Dickies.